I cured my severe blushing issue and my severe social anxiety. I have also cured many of my client’s blushing and social anxiety issues. I know how to cure blushing. I have a full time psychotherapy, counseling and coaching practice here in Boulder, Colorado. I also work with clients around the world effectively by Skype and FaceTime. How did I cure blushing? After suffering from extremely embarrassing facial blushing as a child and well into my adult life, I could not take it anymore. Blushing and social anxiety were ruining my life, both my personal and my professional life. I set my mind on finding a cure. I tried many things. What helped me the most was somatic, body-centered, mindfulness-based, psychodynamic, gestalt psychotherapy. EFT (Emotional Freedom Techniques) and Gendlin’s Focusing psychotherapy methods also played a key role in helping me cure blushing. 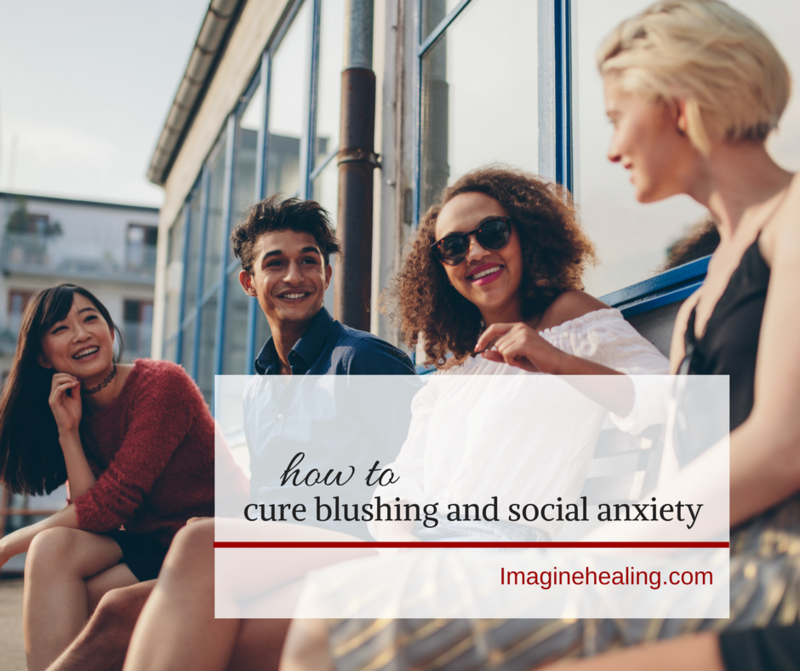 I think the reason I am so successful in helping my clients cure blushing and social anxiety, is because I myself suffered from blushing and social anxiety for so many years, and because of my many years of experience as a psychotherapist. I also suffered from severe complex PTSD and depression. I understand deep seated suffering. I did not learn how to cure blushing, social anxiety, PTSD and depression out of a book or in college. I learned by my real life experience of many years, and by working with hundreds of individual clients for over 30 years. Does Hypnosis or CBT work to cure blushing? There are methods to cure blushing that did not work for me, and that did not work for many of my clients that tried them previously to finding me. They include: hypnosis, CBT, exposure therapy, DBT, pharmaceutical and herbal medicines, and traditional talk therapy. Purely Cognitive therapy and only talking about blushing and anxiety help very little. If you are ready to cure your blushing, to have a full life, to rise up in your career, to be your confident self, I am here to help you. It won’t take years. Most of my clients have real results in a matter of weeks or a few months. Some people take longer. There are a number of factors that affect how long it takes. Do I take insurance? For my clients that work with me locally, in-person, I can provide a receipt for you to submit to your insurance company. If we work only long distance, we can not call it psychotherapy, therefor it most likely can not be submitted to insurance. We can do coaching by phone, Skype, or FaceTime. I have a number of methods and ways of working, so it does not matter if we have to work long distance or if you can see me here in Boulder, Colorado. Are you ready to cure your blushing? If you are ready to set up your Complimentary Session to discuss your individual case and to find out if I am the right person to help you cure your blushing, visit my contact page to find a time on my calendar. If you can’t find a time that works best for you, email or call me for more options. I am passionate about freeing people from blushing and social anxiety. It brings me great joy to cure blushing and anxiety issues, because I personally know how much suffering it causes. Severe blushing can prevent us from fully enjoying life. Learn more about how to stop it!